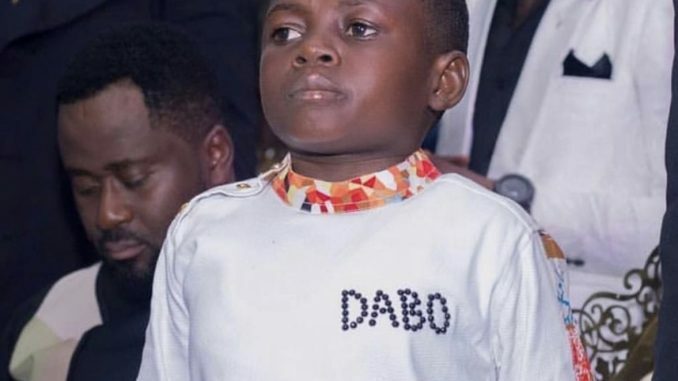 Kumawood actor Yaw Dabo has debunked news making rounds on social and traditional media that he is an irresponsible father having abandoned his supposed son some where. Yaw Dabo who is part of the star studded cast of the “Away Bus” movie was speaking on showbiz agenda on Zylofon FM. He stated categorically clear that he does not have a child anywhere and his management has reported the issue at the tesano police station for the lady to be arrested. “Chairman, I had decided not to talk about this issue. I know this is part of life. It’s a sign of progress in life. This shows me that I’m growing to another level in the industry and some of these allegations is a clear indication”, he said. Though some people are alleging that this maybe a way of him promoting the “Away Bus” movie but he denied that and went on to mention that his management is ready to give a cash reward of two thousand cedis to anybody who knows the whereabouts of the lady and the child and can lead them to her. “This is never a grand scheme to push the movie. She is defaming my name and brand. We’re going to give two thousand cedis to anybody who can lead us or have any knowledge about the lady and the boy”. He was reacting to a video which has gone viral recently on social media in which a lady is seen with a young boy who she claims is the son of Yaw Dabo which he has abandoned and she want him to take responsibility of his son now that he has money and fame.